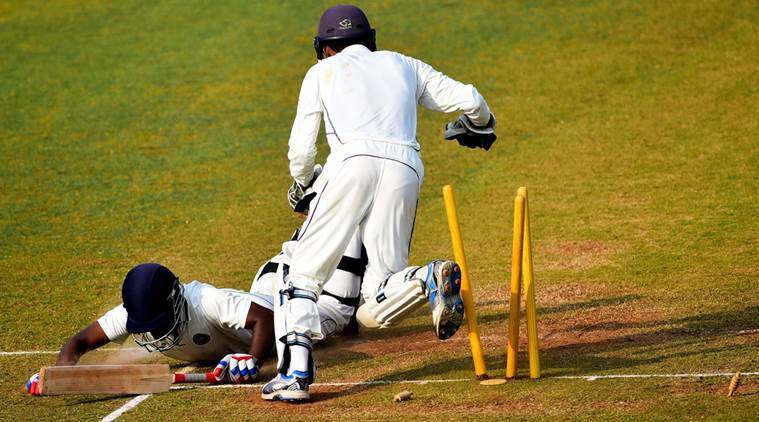 Here's a look at some of the most bizarre dismissals in cricket. You surely can't afford to miss these viral videos. Cricketing rules are such that batsmen feel unlucky about the way they are dismissed and have to go back to the pavilion. One such instance came when Australia’s Mitchell Starc dismissed an English batsman not with with his bowling but with a throw of his in the follow through. Starc grabbed the ball during his follow through and threw it back towards the stumps which was stopped by the batsman with his hands. As per the rules, a batsman was given out obstructing the field. Pakistan’s Anwar Ali was once out obstructing the field against South Africa when he came in the line of the throw from the wicket-keeper’s end deliberately and was sent back in the hut for obstructing the field. In one of the editions of the Indian Premier League, Yusuf Pathan was dismissed against Pune Warriors India while playing Kolkata Knight Riders. He blocked a york-length ball from Wayne Parnell and tried to rush for a single and in the process kicked the ball away. On the appeal of the fielders he was declared out by the umpires. Here we take a look at some more such dismissals. Another instance of this came during an encounter between New Zealand and West Indies when Luke Ronchi tried to sweep the ball but disturbed the wood work behind him to get out hit-wicket and during a match between Afghanistan and Zimbabwe, the Zimbabwean batsman found a new way of getting back to the pavilion. The right-handed batsamn tried to cut the ball but it hit the inside edge of the bat and bounced. The batsman prevented the ball to hit the stumps and held the balls in his hands to get out ‘handling the ball’.